I hate spending money. No, that's not accurate. I love spending free, painless money. Those who know me (and even most who don't know me) know I love to rack in the free gift cards. In fact, I've gotten decent enough at the whole 'free money' gig that I rarely have to use my own money for purchases from Amazon, Walmart, Target, etc. I don't even know how many people have asked me to explain how I earn, so I'm going to give a crash course on some of my favorite sites. (Some of these are referral links, FYI - if you are new to sign up to any of these please consider clicking through so that I get credit for giving you deets). Swagbucks: Yeah. We all know that I pink puffy heart Swagbucks. In a month that I phone it in, I earn about $25 in Amazon gift cards and maybe another $5 or $10 in Target or Walmart or Starbucks or whatever other stores that I want a little extra cash for. A month that I'm actually trying? I get closer to $75 in gift cards. Disclaimer: these aren't all the ways to earn Swagbucks - not by a long shot! Play around on the site and if you have questions, don't hesitate to ask! 1. Surveys! This is the fastest way to earn big Swagbucks (aka the point system). There are a few places the surveys are hidden. My favorite are the Peanut Labs Surveys. Once unlocked, these surveys are typically pretty fast and painless. 2. Mobile videos! If you have a compatible smart phone, download the SBTV app. Once it's booted, videos run on your phone. For every 5 videos that play, you get 2 Swagbucks. That doesn't sound like much but it adds up quickly! Remember, 450 Swagbucks is a $5 Amazon gift card. My favorite series of videos are the movie trailers and music videos. When I'm running some of the others, I just plug in my phone to its charger and turn off the volume, but with these I'll often crank up the noise and enjoy. 3. Swagcodes! Periodically (usually once or twice a day) Swagbucks releases a Swagcode to be entered for bonus points. If you have Google Chrome as your browser, I HIGHLY recommend adding the Swagbucks toolbar so you get notification when a new code is released. When I see there is a new word to be entered, I sneak off to my favorite sneaky sneakster site, SBCodez and see what the word is to be entered. 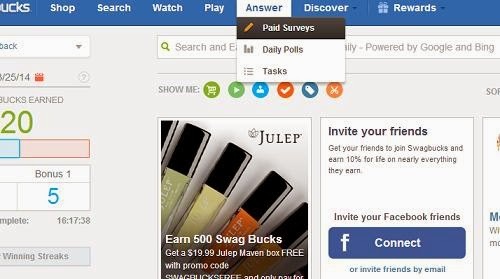 Surveyspot: My FAVORITE survey site, because the points add up quickly! You need to have 1000 points to cash out for $10 Paypal, or 500 for $5 Amazon. There are other redemption options, but these are the only two I personally utilize. The surveys are anywhere from 20 points to 500 at a time, and before you enter a survey it'll tell you (or warn you, whatever) how long the survey is and how many points its worth. This way, you don't enter a 45 minute survey for next to no points, ya know? Typically the surveys are several minutes shorter than stated in the forewarning. Ebates: Okay friends. Don't make another purchase without checking out this site first. Do you love Zulily? Click through Ebates. Do you have an addiction to Gap? CLICK THROUGH EBATES! 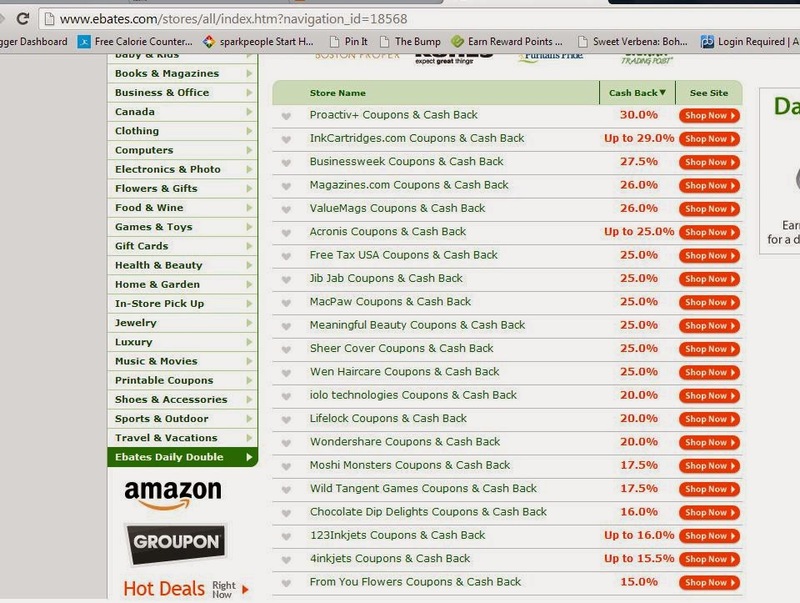 Don't make another online purchase until you check Ebates to see if there is a rebate you can earn. My favorite methods of payouts are Paypal or the actual physical check you can get in the mail. Seriously. A paper check. I didn't even know people did that anymore. Mypoints: I don't do much on this site. Really, I don't. It's something that just sort of happens when I'm not thinking about it and about twice a year I'll cash out for a $10 Amazon or Old Navy gift card. 1. Sign up for emails! Click-thru's are 5 points each, which is literally all I do. I have the emails redirected to a special folder and just bop through them every couple of days. Its 5 minutes of my time. Click, delete. Click, delete. 2. Online shopping! If I'm going to make a purchase, I always check between Swagbucks, Ebates and Mypoints to see which gives the highest value rebate. 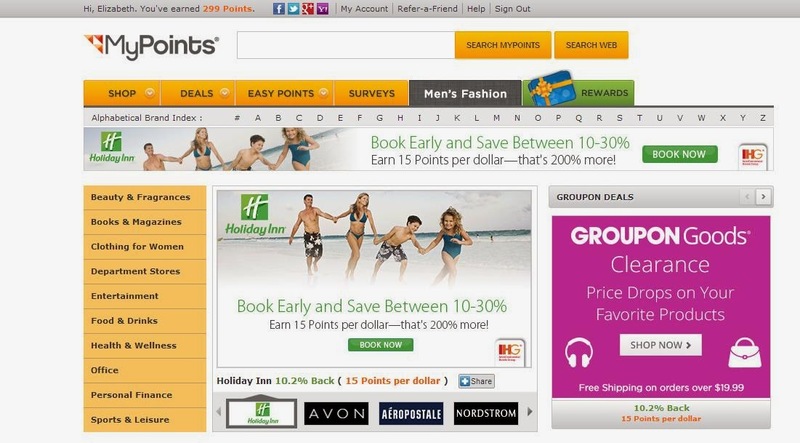 Often times a store will be featured for shopping click-thrus on Mypoints and not the other two. Considering I do a lot of online shopping (hi, two kids. I don't leave the house much) its a great way to save a few bucks here and there. I have a bunch more sites that I use to earn money in my downtime, get free stuff, majorly discounted goods, etc. Stay tuned! 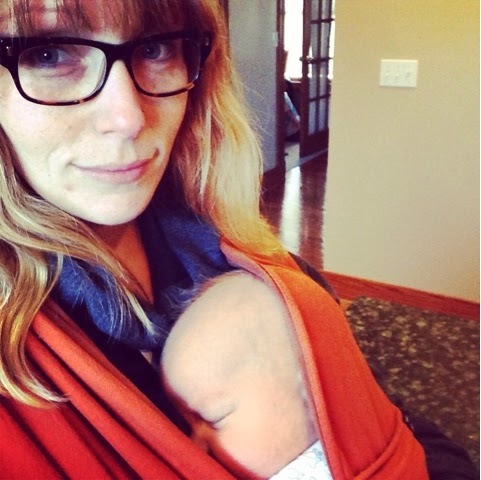 In the meantime, here's a picture of myself and the new squish. You're welcome. Swag Bucks is the biggest get-paid-to site.